This is of course an absolute classic. 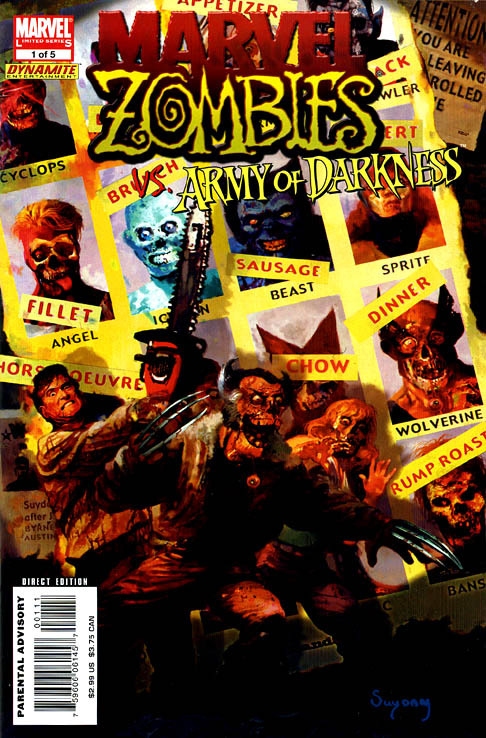 In his book Supergods, comic writer Grant Morrison talks about all the various reasons this cover appeals to people and he is dead on. There is something about this cover that tells people that inside these pages is something new and different, which it is. 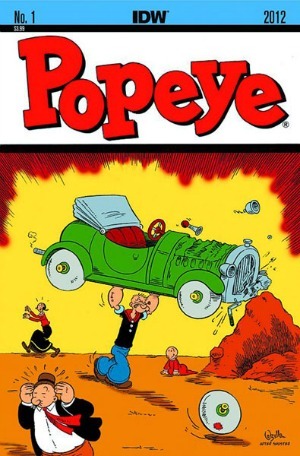 Because of this, the cover has been copied repeatedly through the years. Even Spider-Man gets in on the action. 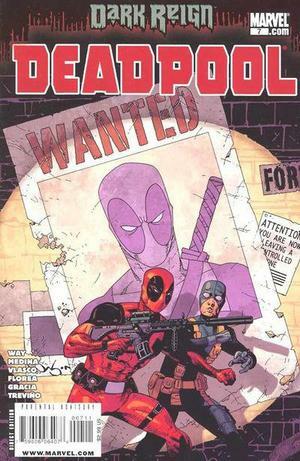 Although since it’s a Marvel book, they couldn’t make it exactly the same. 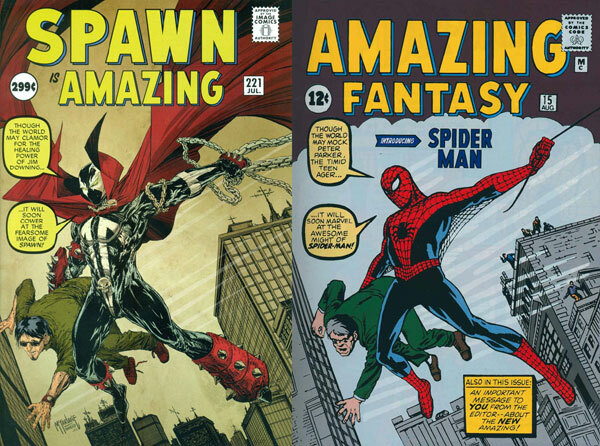 Speaking of Spider-Man, our friendly neighborhood web slinger has more than his fair share of famous covers. 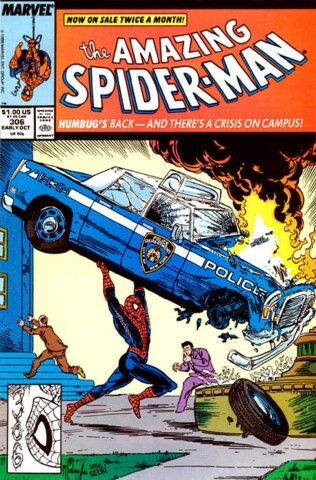 Probably the most famous is The Amazing Spider-Man #50. 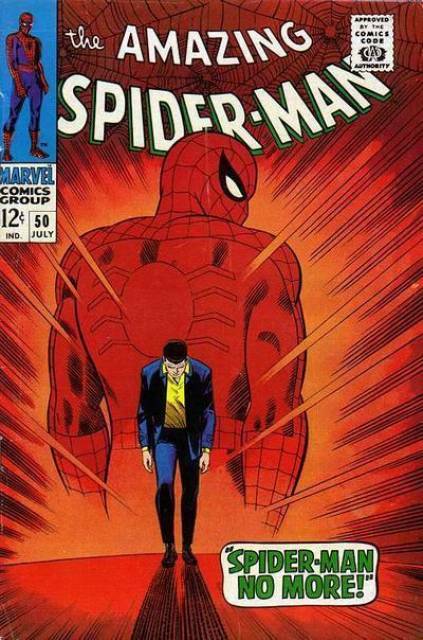 The John Romita Sr. cover is very expressive yet simple. While Peter Parker turns his back on Spider-Man, Spider-Man turns his back on Peter. 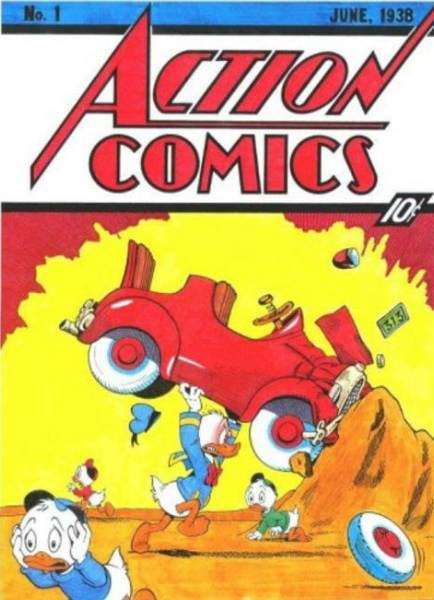 Not only are these great covers imitated, but often they are parodied, much as Howard the Duck does with this cover. It’s no secret my favorite Marvel series is the X-Men. 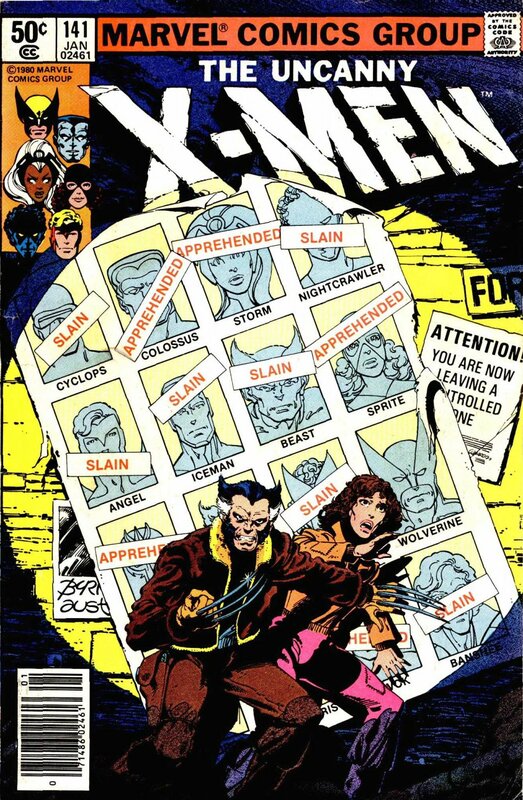 I’m incredibly excited for this summer’s X-Men: Days of Future Past. 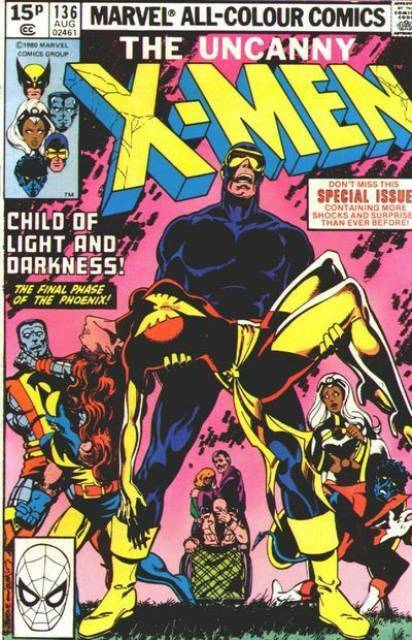 And speaking of Days of Future Past, Uncanny X-Men #141 is by far one of the most imitated covers in existence. Here are a few of my favorite copies, though these are only a few of the many imitations. 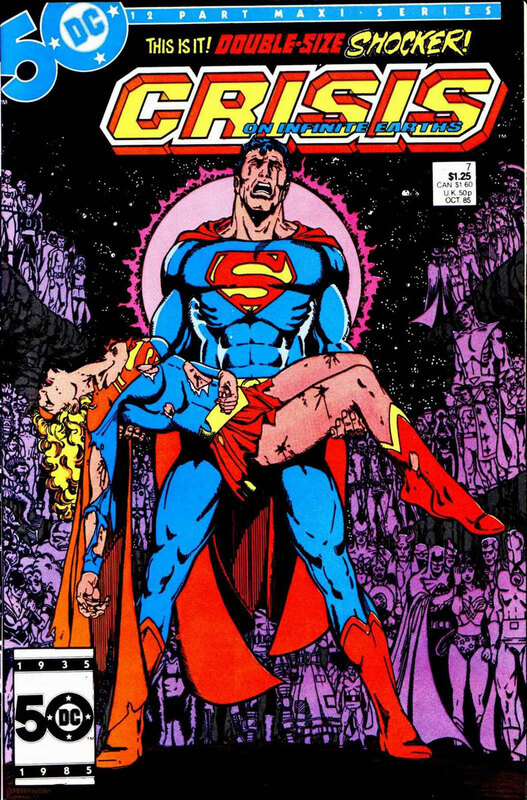 Crisis on Infinite Earths #7 is the most well known cover from DC’s grand comic event of that name. 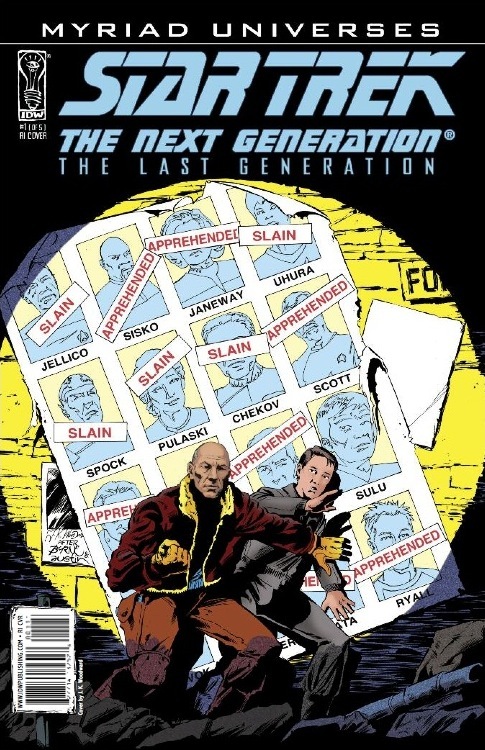 While not immediately obvious, even this cover is a copy of an X-Men book. 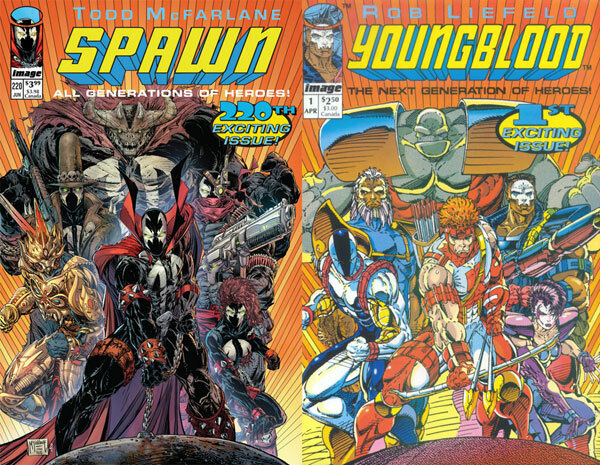 Lastly, there is Spawn‘s 20th anniversary. 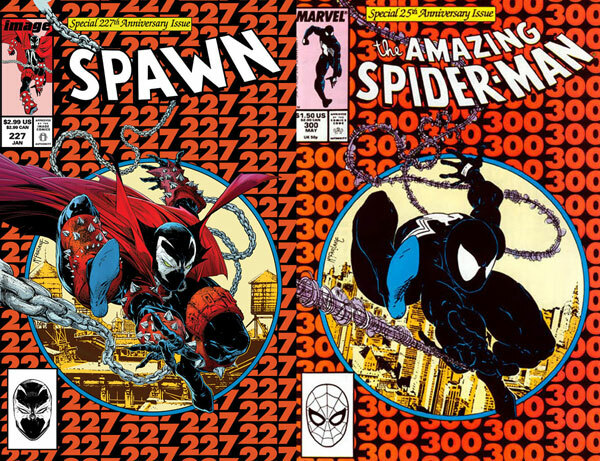 Creator Todd McFarlane decided that he wanted to make Spawn versions of his favorite covers, including several that he did as an artist at Marvel. 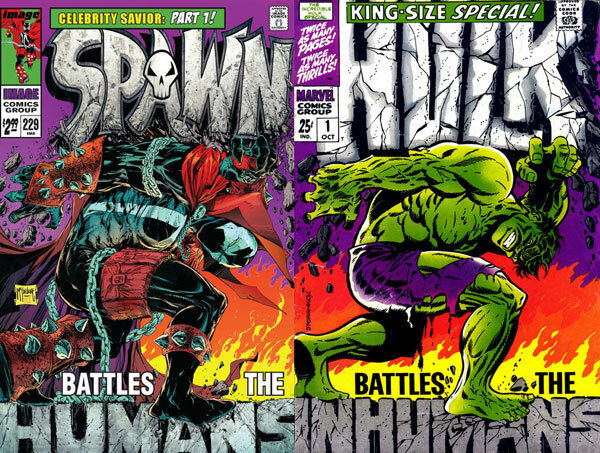 Spawn covers are on the left, originals are on the right. I actually felt this was a cool thing to do. 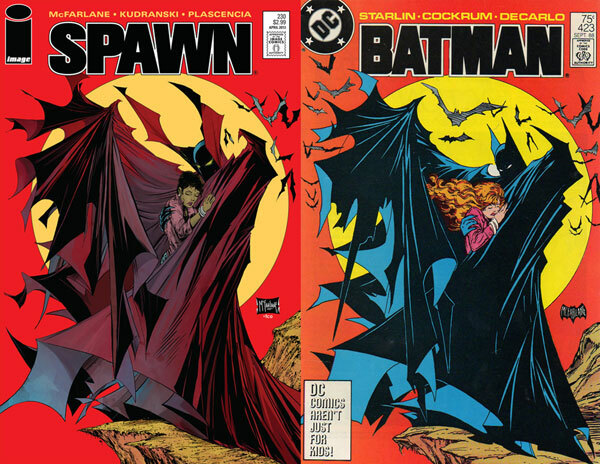 McFarlane is a well known and talented artist who is using his own work to show respect for his favorites. So why do people do this? 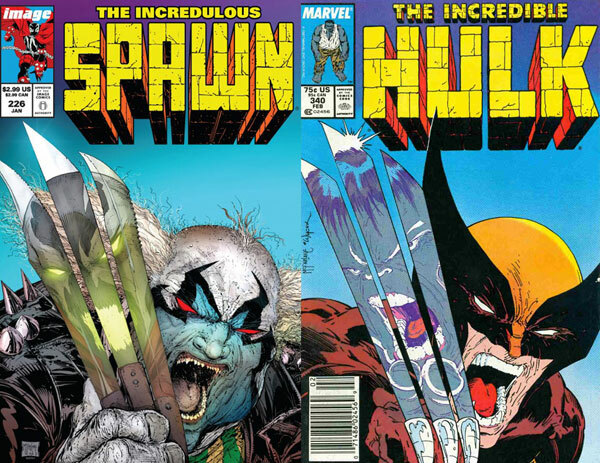 Obviously there are some artists, like McFarlane who do it in homage to their favorite artists and covers. I feel that’s the best reason to do so. As I mentioned before, imitation is the sincerest form of flattery. All these people are really trying to do is express their love and appreciation for their favorite works. 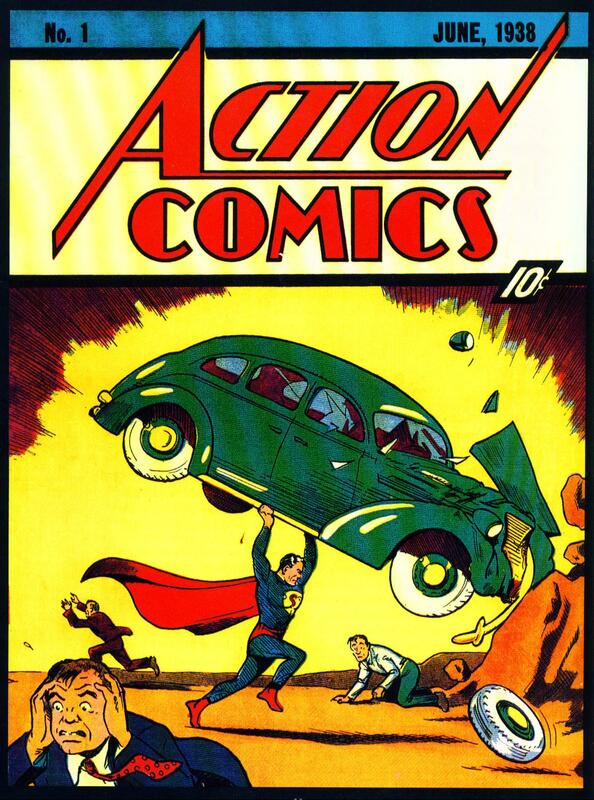 A second reason for cover imitation is that sometimes artists do this as a parody. Parody certainly isn’t limited to comics, but given that comics are a visual and written medium, there is all kinds of extra room for it. Parody can be used for both humor and making a statement. 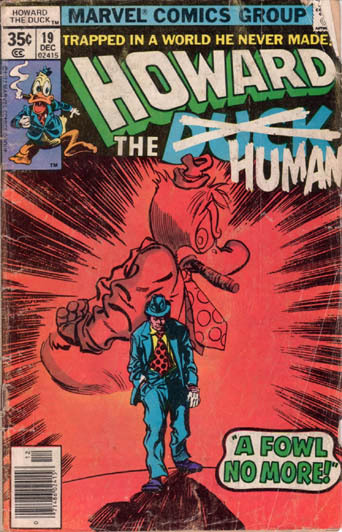 Steve Gerber, creator of Howard the Duck parodied other work as well as his own. The issue of Howard the Duck above is a humorous parody of The Amazing Spider-Man, and a book called Destroyer Duck was used to raise money to fund a lawsuit that Howard the Duck creator Steve Gerber was fighting over ownership of Howard. 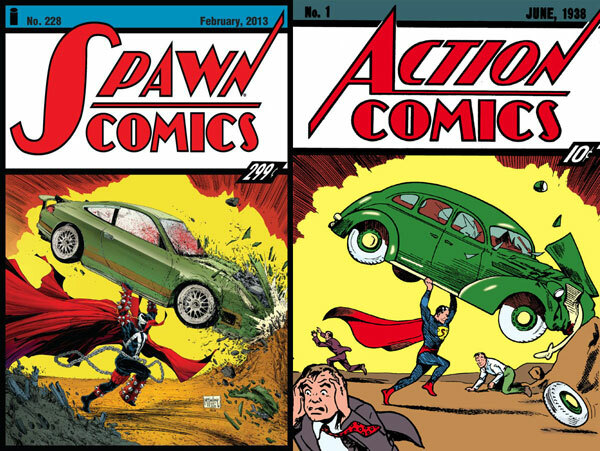 Finally there are those covers that are imitated just because they look cool and imitating them will sell more comics. 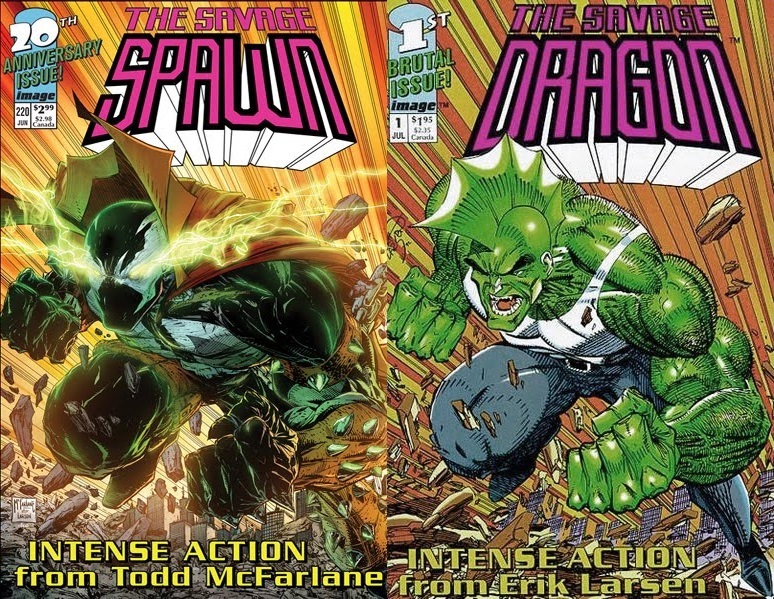 While I can understand why an artist or publisher might do this, it’s really the worst reason to imitate someone else’s work. Fair Use arguments aside (they get really murky) the artist is bordering on questionable legal ground. Also, let’s be honest, if he needs to resort a gimmick like this to sell the book, he probably needs to rethink the content. In the end and whatever the reasons for doing it might be, there is no indication that this practice is going anywhere and so we might as well enjoy the ride. Reblogged this on Therefore I Geek.